Despite worldwide calls for efforts to slow down climate change, a recent report revealed that Korea ranked lowly in terms of its response to climate change. 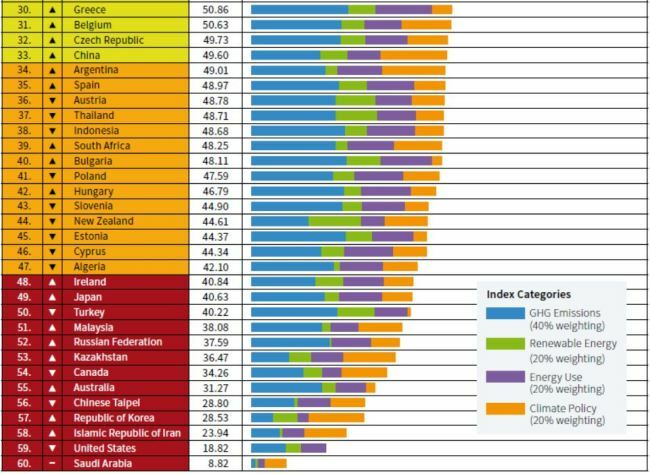 According to the Climate Change Performance Index 2019, Korea ranked 57th out of 60 countries in terms of climate-related performance. The report looked at 56 countries and the European Union, which account for about 90 percent of global greenhouse gas emissions. The report was released Monday at COP24 in Katowice, by three international environmental research institutes -- Germanwatch, the NewClimate Institute and Climate Action Network. It concluded that not enough countries have proved their political will to prevent climate change, though there is growth in the use of renewable energy. The top three spots of the CCPI 2019 are still unoccupied, because none of the 56 countries and the EU have showed in their overall performance that they are clearly on the path to the goal of keeping global warming below 2 degrees Celsius, the CCPI said. 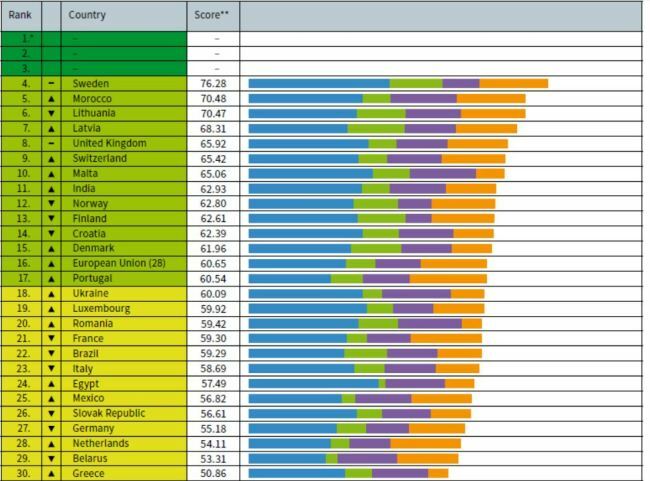 Sweden ranked fourth, leading the list with comparably good ratings in emissions and renewables. This was followed by Morocco, with a significant increase in the share of renewable energy capacity and an ambitious national climate target, according to the report. Korea received poor scores in the areas of greenhouse gas emissions and energy utilization. The country’s greenhouse gas emissions per capita and energy consumption per capita were at the highest level, and both indicators are steadily increasing, according to the CCPI. However, the rapid spread of renewable energy and the government’s policy supporting electronic cars were reflected positively. Japan ranked 49th, followed by Turkey. At the bottom of the index was the United States at 59th place, and Saudi Arabia ranked bottom. “The CCPI shows a lack of political will of most governments to phase out fossil fuels with the necessary speed. Because of that, in most countries the climate policy evaluation by national experts is significantly lower than in the last years,” the joint publishers said. “Based on techno-economic developments in the last years, delay in implementation of low-carbon solutions can hardly be justified,” said Jan Burck, co-author of the CCPI at Germanwatch. The four categories examined in the report are: GHG emissions (40 percent), renewable energy (20 percent), energy use (20 percent) and climate policy (20 percent). These were based on expert assessments by nongovernmental organizations and think tanks from the respective countries.